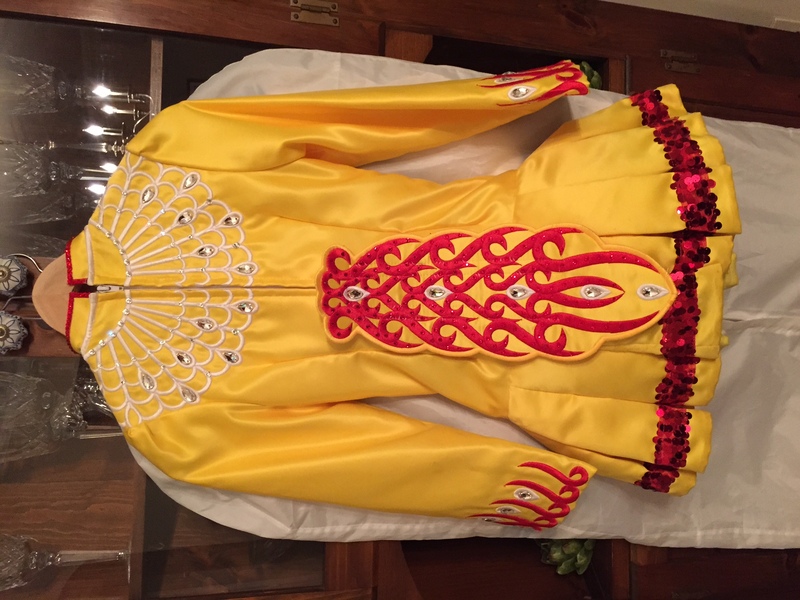 Purchased new in May 2014 for champion dancer. 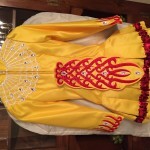 Yellow satin with white embroidered “lace” collar and red embroidery/trim. Loaded with clear and light Siam, including large pears. 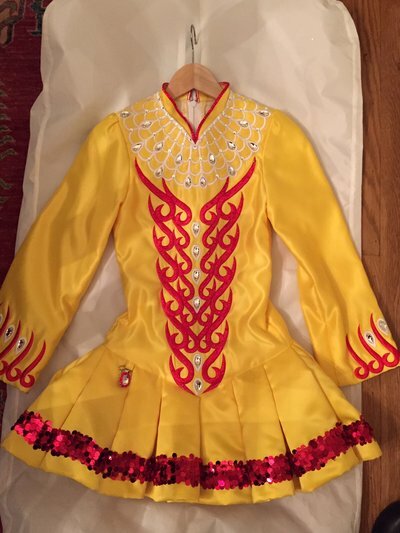 Includes headband, kickpants, and crystalled hairbow. Asking Price: $US1050. Shipping costs are included for my own country, overseas shipping is extra. Sale is final.